The moment an author’s accepted paper appears online is a memorable one. And it’s a moment most want to share with their colleagues and peers. Historically, when an article was published on ScienceDirect, we would send the author a PDF offprint to circulate to their networks. However, all that changed in the summer of 2014, when we rolled out the Share Link initiative - customized short links which provide 50 days’ free access to newly-published articles on ScienceDirect. Authors receive a customized Share Link to their newly-published article on ScienceDirect. The link provides 50 days’ free access to their article – after that, the usual access rules apply. Users clicking on the Share Link within the 50-day period will be taken directly to the article with no sign up or registration required. Share Links are ideal for sharing via email and social networks such as Facebook, Twitter, LinkedIn, and ResearchGate. More than 2,100 journals now offer the initiative and over 263,117 articles have already had a Share Link assigned. One of the main objectives of the project is to help authors share their papers and we have received some very encouraging feedback and results. 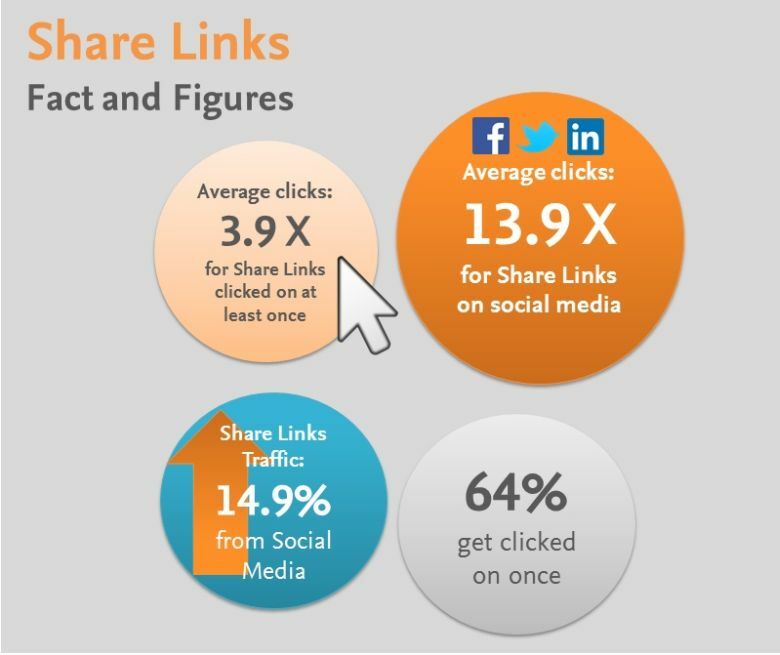 Around 64 percent of issued Share Links have been clicked on at least once, and on average each Share Link is clicked on 3.9 times. “Articles can easily be shared on blogs, personal websites and social media with this unique URL, and we see that a lot of authors do exactly that, predominantly on Facebook,” reveals Dr. Inez van Korlaar, Elsevier’s Head of Project Management in the Marketing Communications & Researcher Engagement department. 14.9 percent of all Share Link traffic originates from social media. On average, there are around 14 clicks for every link posted on sites such as Twitter, Facebook, LinkedIn, Weibo and many other networks. If more websites link to your article, you will attract more readers and your article will appear higher in the list of results returned by search engines. To date, one of the most used Share Links has been for a research article suggesting that men who shower their online profiles with ‘selfies’ are more likely to display psychopathic traits than those who don’t. “The paper was linked to via a story on Yahoo news, and received more than 1,300 clicks,” explains Dr. van Korlaar. “The result was that the author’s research received a lot more visibility outside the science community." The Twitter feed below features Elsevier authors who have tweeted the Share Links we've sent them. Kitty van Hensbergen is a Project Manager in the Marketing Communications & Researcher Engagement department and is responsible for global projects. She has an MSc degree in economics and business, specializing in marketing, from Erasmus University Rotterdam. She is based in Amsterdam.